Who is a homeless child? A homeless child is an individual who lacks a regular, fixed, and adequate nighttime residence. This is not restricted to living on the streets but includes staying in a crowded home, someone else' home, sleeping in shelter and bedsit. As marriage and family are the best institutions for child rearing, any form of shelter that involves not staying under the supervision of one's parents or guardian can also be included as one of the forms of homelessness. One of the major causes of homelessness is poverty. This is the chief cause of homelessness. It is a situation whereby a family with children cannot afford the basic necessities of keeping a family - including housing. Another one is the decrease in of low cost housing. The percentage of low cost housing is decreasing by the year. Many homeless children belong to families with low-income who have to settle for shelters and poor housing because they cannot access affordable housing. Domestic violence is also responsible for homelessness as women and children are the major victims of domestic maltreatments. Violence at home can be responsible for the homelessness of a child. Several dimensions of a child’s wellbeing suffer when they are exposed to bad living conditions. One of these dimensions is education. There are connections among poverty, homelessness, poor health, and poor educational performance. One being the result of the other. Poverty is the main cause of child homelessness which as a result affects the mental health of a child, while the poor mental health has its effect on the child's education. Stable housing is a very important factor for positive children educational development. A child that does not have to change school at almost every time enjoys a better educational development than his counterpart who changes school every time due to unstable housing. Homelessness has a particularly negative effect on the academic performances of children, especially in their early stage. It has been observed that homeless students experience a lot of challenges outside of the school that their affluent peers do not. The effect of these challenges presents significant educational problems for the children who must deal with the instability that comes with being homeless and the chronic stress associated with living in bad conditions. Homelessness has been shown to adversely affect children's concentration and cognition which may impact their ability to learn at school. It has been observed that young children with homeless experiences express more behavioral problems in school than housed children. Mental disorders with depression and social disorders are among the behaviours expressed by these set of students in school with many of them also suffering from impairments. 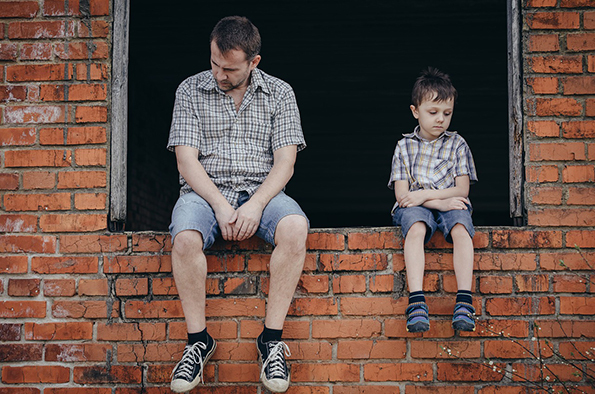 Children living in homeless families and unaccompanied children (homeless children without their families) have a greater risk of experiencing mental health issues, compared with their housed counterparts. Absenteeism and unstable education are among the critical factors that affect the school success of homeless children. Children experiencing housing problems are more likely to miss classes than their stable housed peers. This affects their level of performance and results in low grades for them. Many of them are not even likely to complete secondary school.